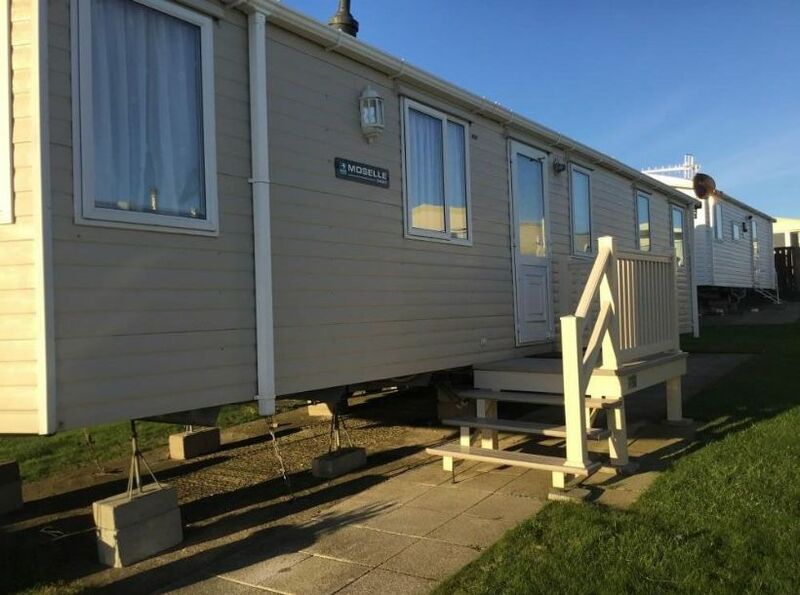 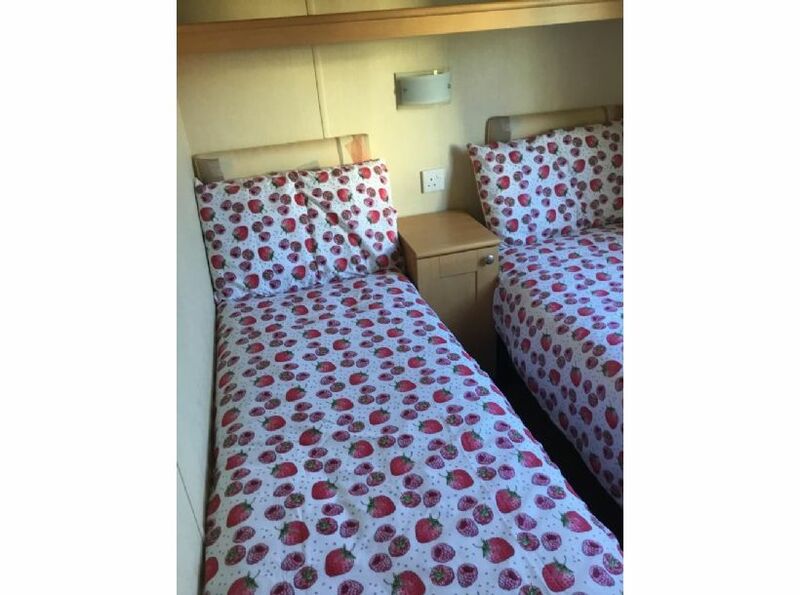 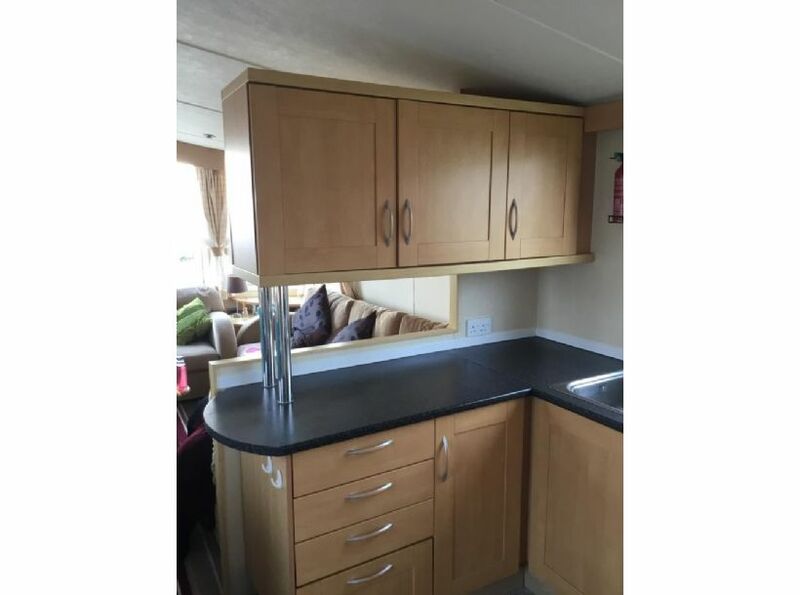 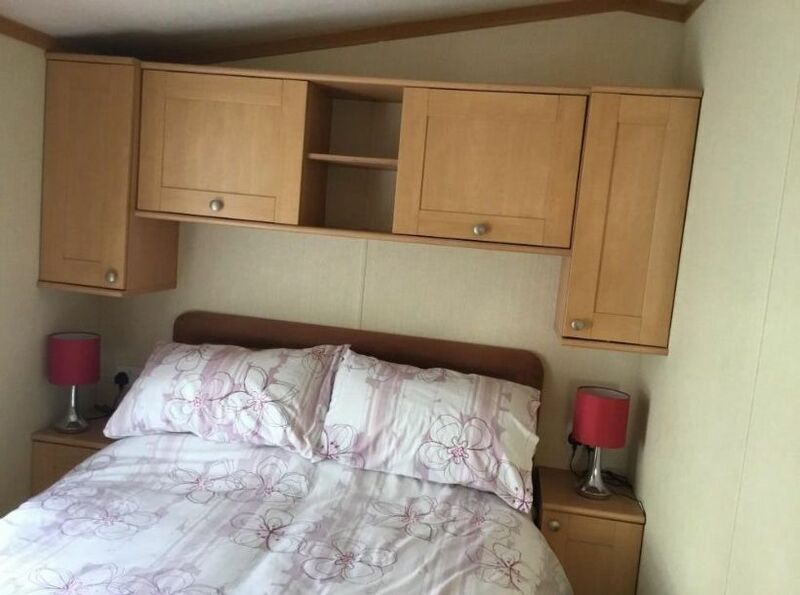 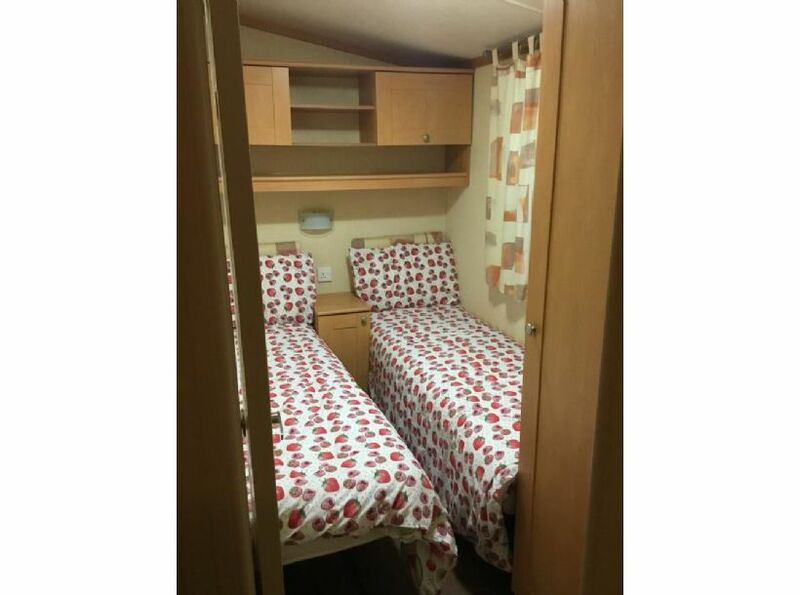 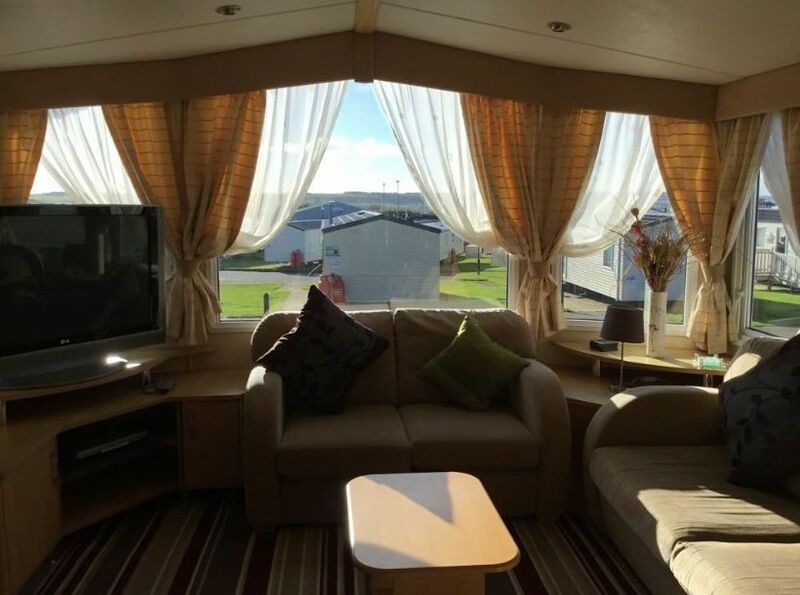 Swift Moselle luxury (38”x12”) 3 bedroom 8 berth. 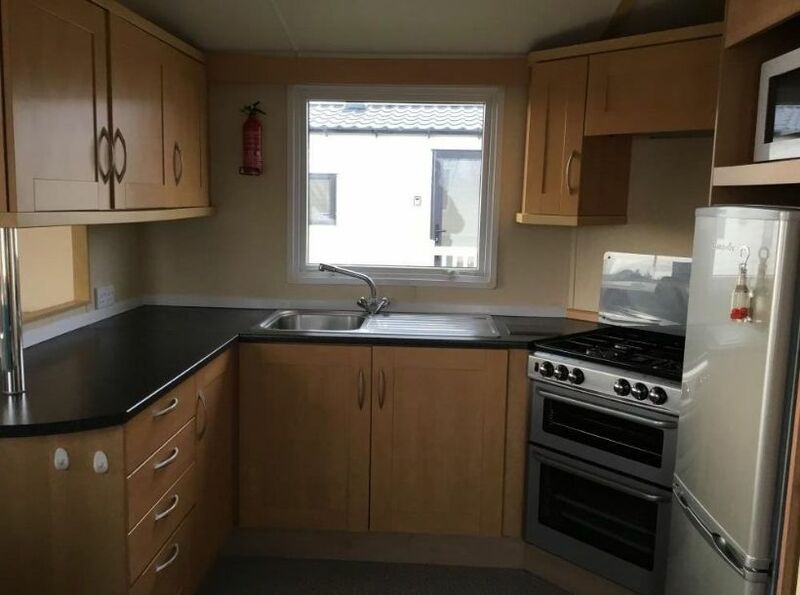 Centrally heated , full double glazing . 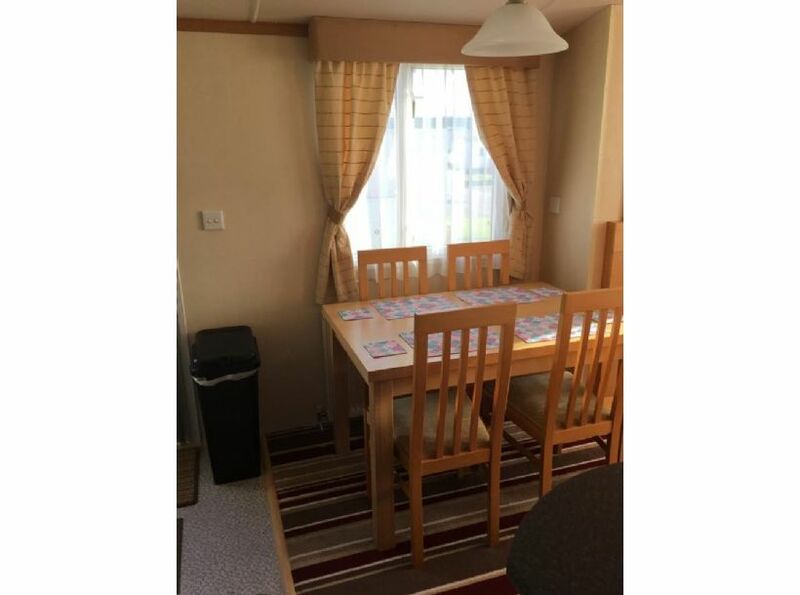 All bed linen provided and all gas , water and electric is included in the price .3 bedrooms 1 double , 2 singles and the living room sofa opens out into another double bed . 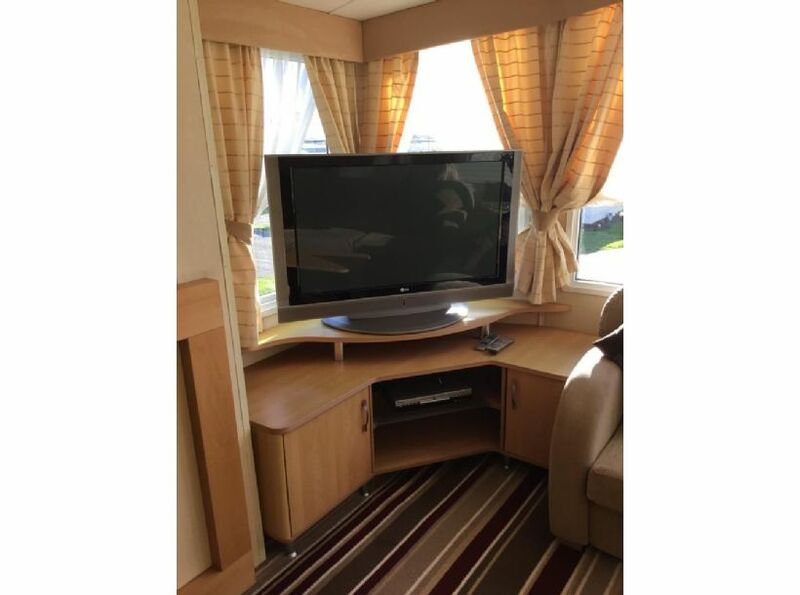 Gas fire in living area , 50 inch tv with freeview and separate DVD player . 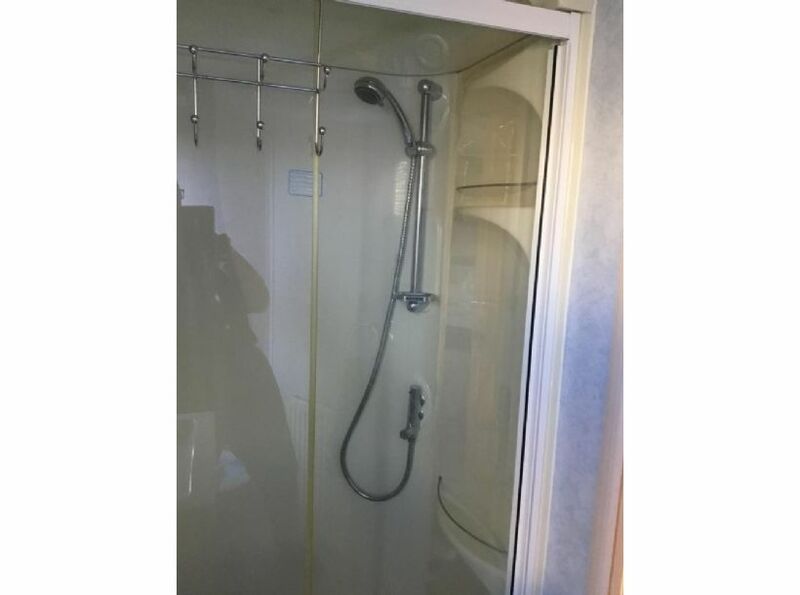 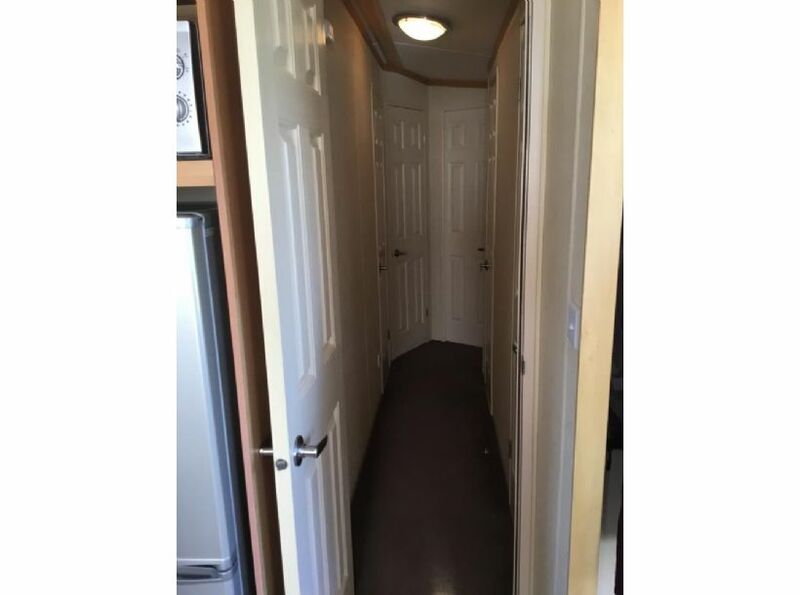 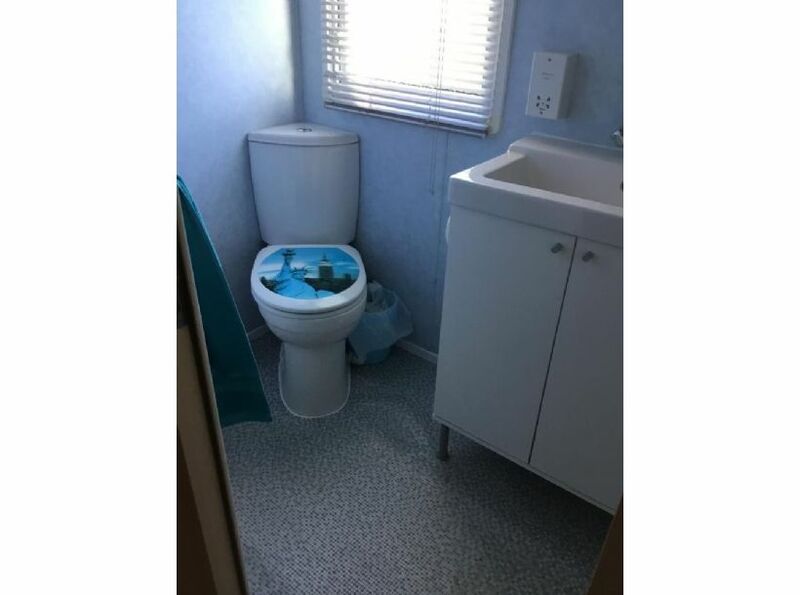 2 bathrooms , 1 with large walk in shower. 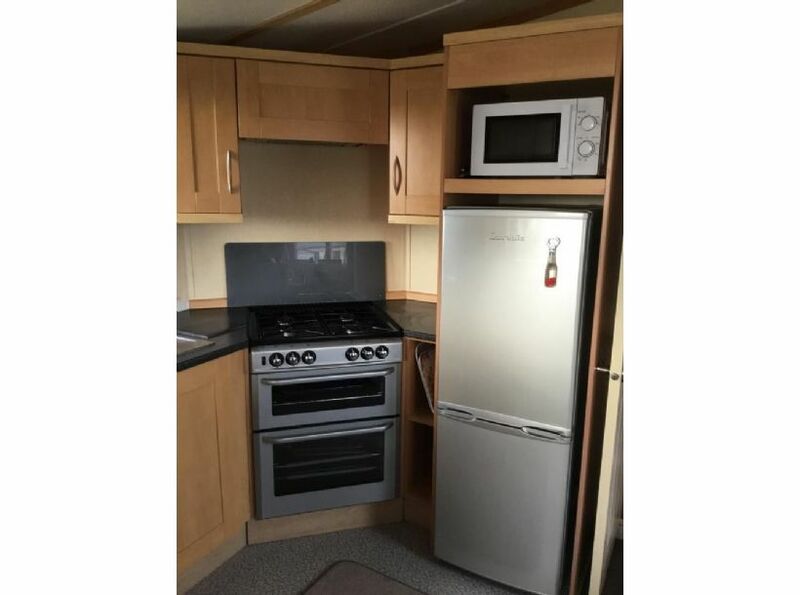 Kitchen has full size fridge/ freezer , kettle , microwave , toaster etc . 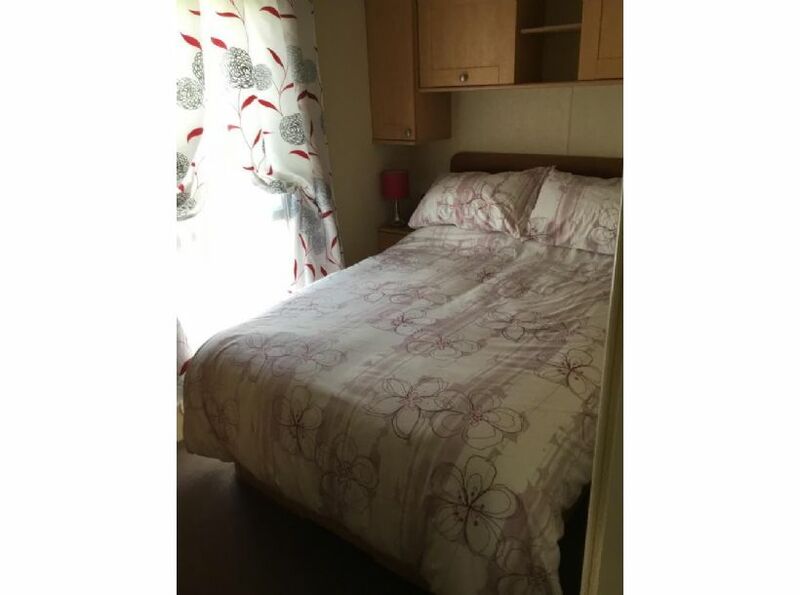 The van is situated on Hawthorn Drive which is a quieter area of the park but only a few minutes walk from all the entertainment. 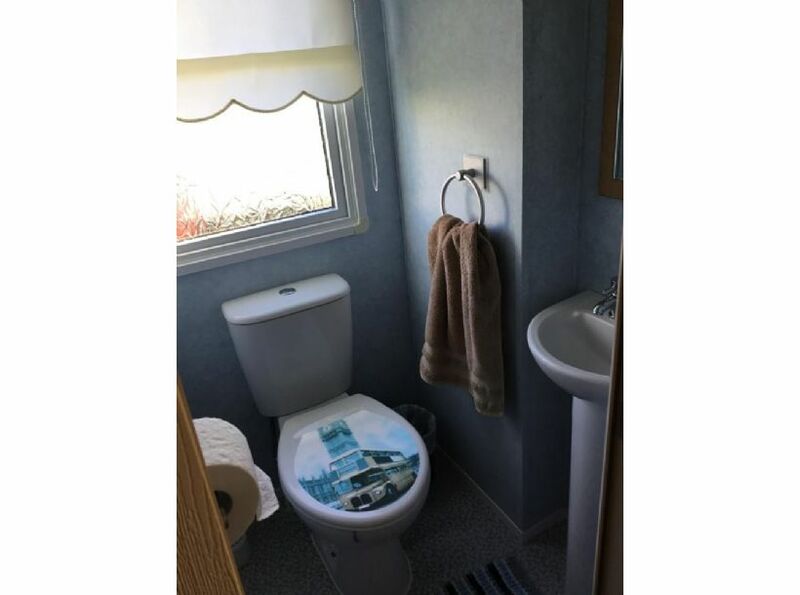 There are lovely views across the surrounding countryside with ample parking to the front of the van . 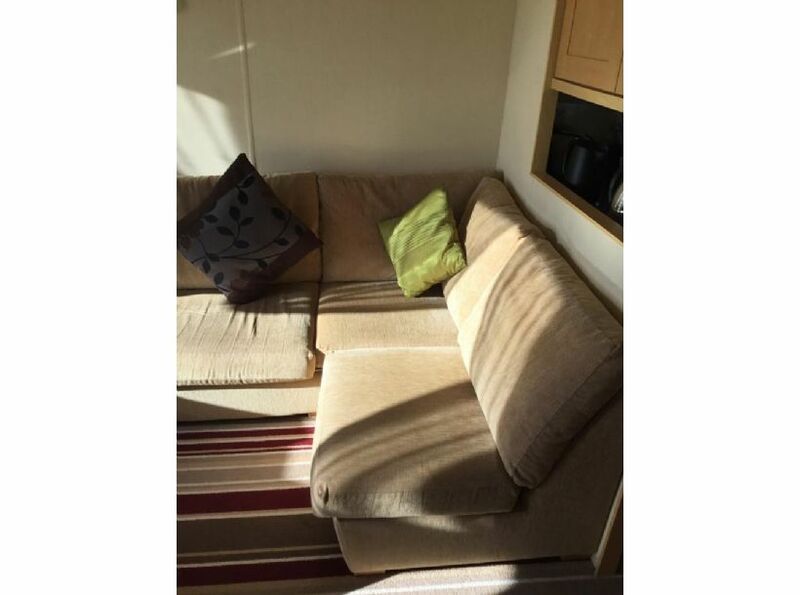 There is plenty of comfortable seating with a separate dining area with table and chairs . 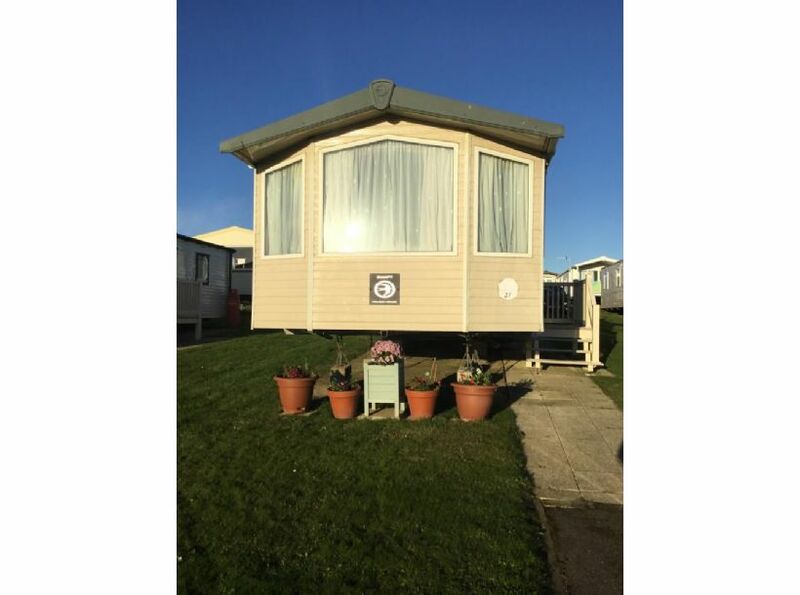 The holiday park is only a short drive into the seaside resort of Filey and about a 10 minute drive into Scarborough .